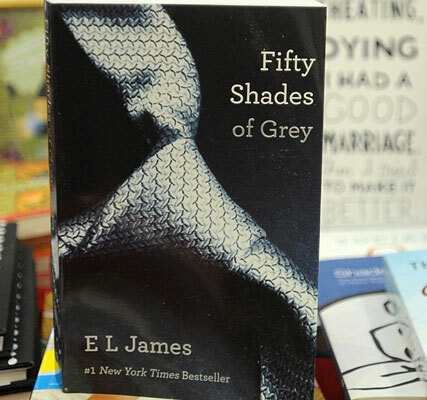 Fifty Shades Of Grey fans will be pleased to hear that the long-awaited movie adaptation of the racy novel has finally been given a release date. The production team has yet to share the UK release date of the Fifty Shades Of Grey movie, but it’s likely to be just days after it hits US screens. Focus Features and Universal Pictures were given the screen rights to Fifty Shades Of Grey back in March 2012, but it’s taken a while for them to pull a team together. British screenwriter Kelly Marcel joined the project in October 2012, while Sam Taylor-Johnson was revealed as the movie’s director just last week. The much-debated roles of Christian Grey and Anastasia Steele are yet to be filled, but Robert Pattinson fuelled rumours he’s in the running by inviting Fifty Shades Of Grey author to his lavish house party in LA at the weekend.